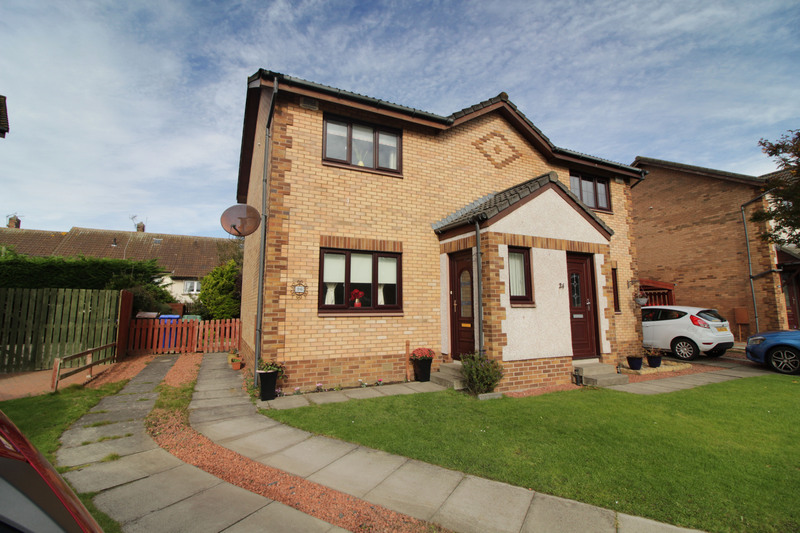 Hoppers Estate Agency are delighted to market this immaculately presented 2 bedroom semi villa in a popular area of Ayr. In walk-in condition, this property comprises a spacious lounge, dining kitchen, 2 double bedrooms and family bathroom. 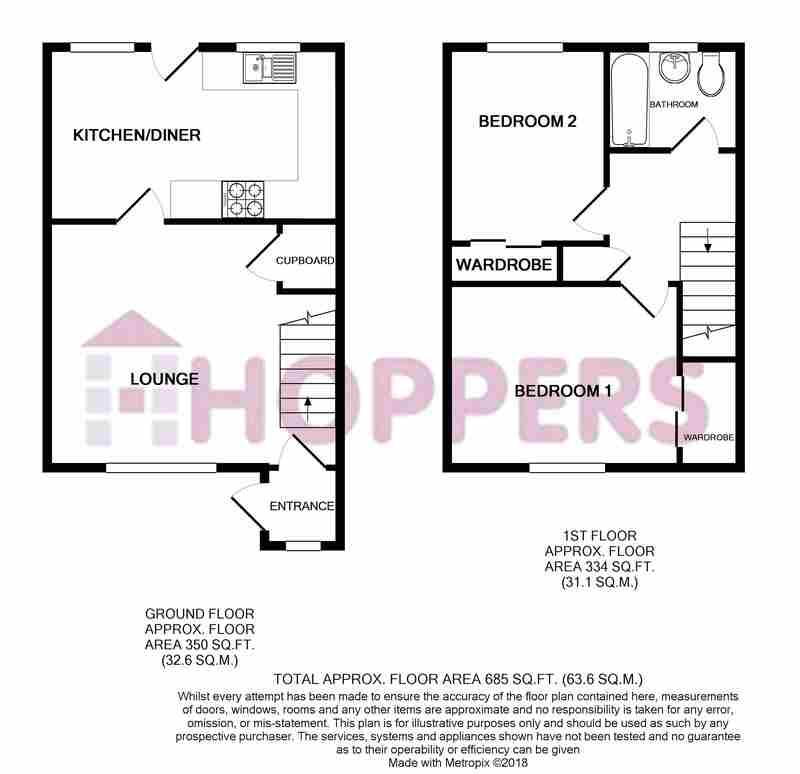 With off street parking, front and rear gardens, GCH and double glazing throughout. This property would suit a variety of purchasers, including first time buyers, or those looking to downsize from a larger property. In excellent decorative order throughout, buyers looking for a property in walk-in condition are encouraged to view. In more detail, on entry is a welcoming lounge, neutrally decorated with laminate flooring and light walls. With under stair storage cupboard and front facing window brightening the room. To the rear of the lounge is the modern dining kitchen, with wooden wall and base units providing a good amount of storage and worktop space, as well as integrated oven, hob and hood. There is also room for a table to the left, providing a family dining area. On the first floor are two double bedrooms; both rooms are neutrally decorated and contain fitted mirrored wardrobes providing a good amount of storage space. Bedroom 1 is front facing with laminate flooring and tasteful décor, while bedroom 2, at the rear, is carpeted. Also on the upper floor is a good sized storage cupboard in the hall, and a family bathroom. The bathroom is bright and modern, with white suite comprising toilet, wash-hand basin and bath with shower above. 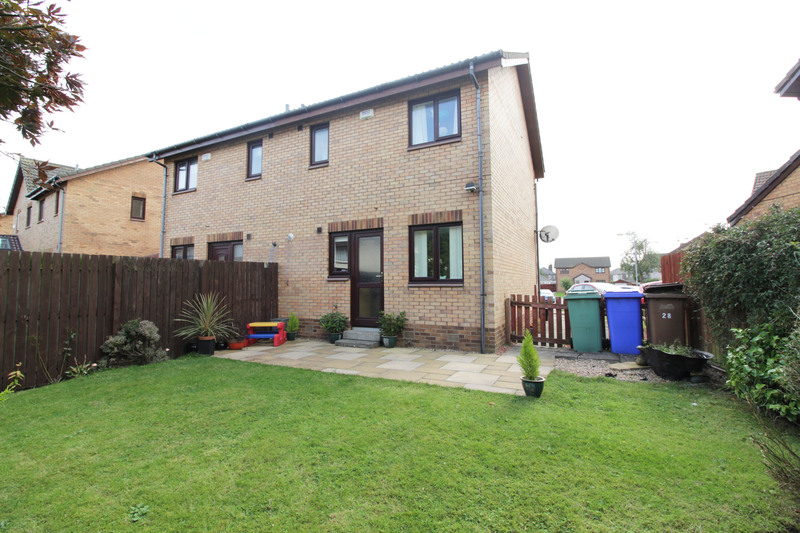 The property benefits from both front and rear gardens, as well as off street parking. The front of the property has a neat lawn and paved driveway. 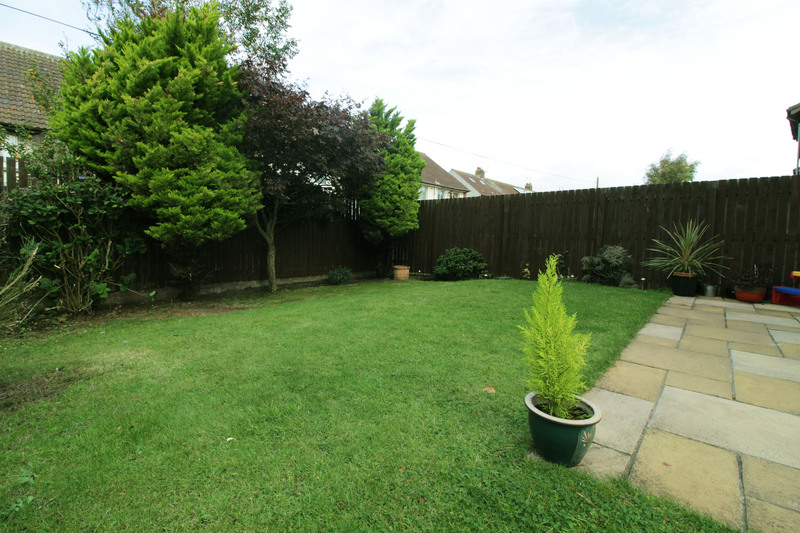 The fully enclosed rear garden is of a good size, fully laid to lawn with a patio area and garden shed. The garden is kept neat and easily maintained in it's current condition, or provides ample room to develop or landscape.